As you continue to use your iPhone, the contacts list can easily and quickly become mixed-up with duplicates and multiple entries of the same contact names. This can happen by accident, by sharing V-card information, typos, or by changing the names and addresses of your contacts. Whatever the reason may be, at the end your contact list will look messy. Merging contacts on iPhone is not an easy thing. Fortunately, you can prevent this from happening and we are going to help you find out. In this article, we are going to teach how to combine iPhone contacts and tidy up your contacts list, how to take charge and manage your contacts with ease. Before we go into the detailed steps on how to do iPhone combine contacts, we need to look at the situations you might need combine iPhone contacts. Is It Possible to Combine iPhone Contacts? Yes, it is possible to combine iPhone contacts and you are allowed to use the official way to do so through iCloud. iCloud lets you manage your contact list and when you merge contacts via iCloud, you will no longer have to sync back to iCloud, iTunes or even your computer for the changes to take effect. When you make the changes directly on your iPhone, it will automatically be transmitted to other iOS devices that share a similar Apple ID. 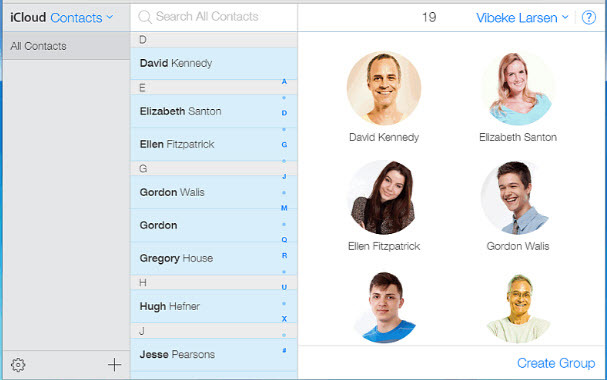 You might be wondering if you can use iTunes to combine iPhone contacts. Well, you cannot use iTunes to do this. The official way to perform iPhone combine contacts is via iCloud. iTunes or the computer cannot help you to achieve this. 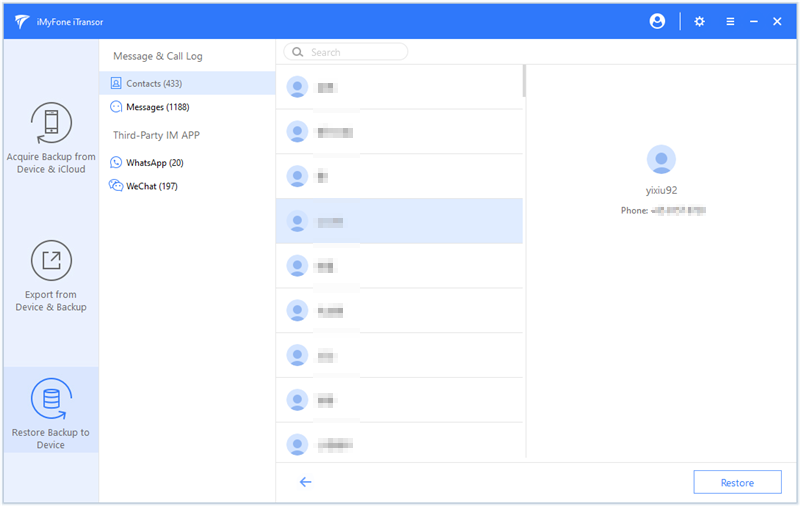 However, if you do not want to go the iCloud route to combine iPhone contacts, there is an alternative to the official way, which is easier and more powerful than the iCloud method. Keep on reading to find out this better alternative to the official way. Merging or combining iPhone contacts is not an easy or a straightforward thing. It can be tedious and time-consuming. Luckily, we are going to show you how to combine iPhone contacts with ease and convenience. Step 1: Turn on contact sync option within iCloud. Click on settings on the home screen of your iPhone. Then scroll down to find iCloud and tap on it. Now use your Apple ID to log and make sure that you enable the Contacts switch. 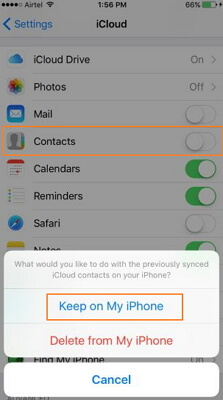 This will automatically sync your iPhone contacts with iCloud. Step 2: Check contacts on iCloud with computer. Go to iCloud.com and click Contacts option. Then check the synced contact list. Step 3: Turn off iCloud contact sync option on iPhone. Go to Settings option of iPhone and then iCloud again. Then turn off the contacts option and from the pop up window select “Keep on My iPhone”. Step 4: Combine contacts manually on iCloud.com. After logging into iCloud, select Settings icon at the bottom-left corner and from the given options select “Export vCard”. 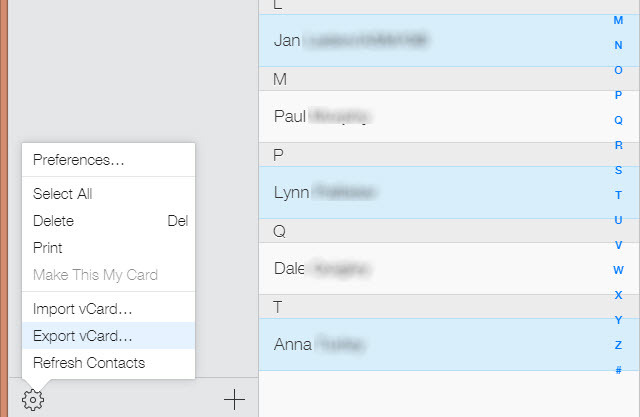 Now you can manually combine the duplicated contacts. If you are concerned about using the official iCloud method with its shortcomings, you should then consider using a specialized software. iMyFone iTransor is the best iOS data backup and restore tool that also enables you to combine iPhone contacts with ease and efficiency. 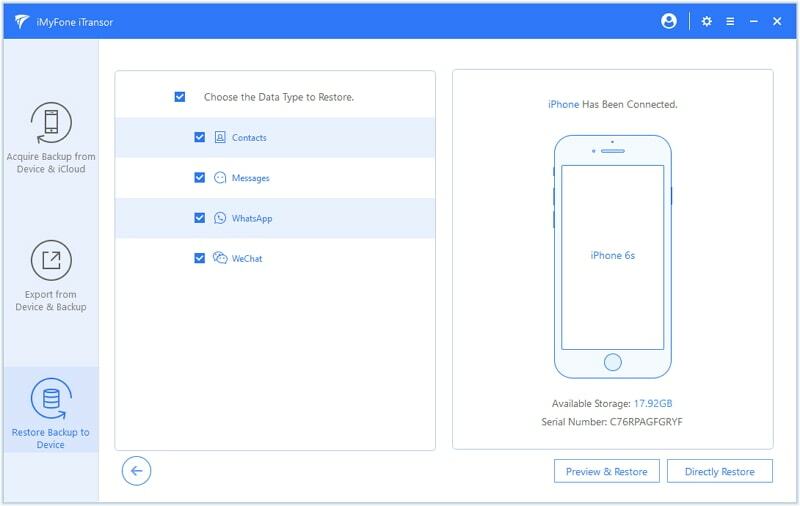 With this tool, you can backup, manage and restore your contacts without losing any data on your iPhone. Step 1: Run the iMyFone iTransor software program on your computer and then click on Restore Backup to Device tab. Step 2: Once the Restore to Device tab is open, click on Restore Partial Backup after choosing a backup file. Step 3: A new window will pop up, choose the data type(s) you want to restore. Then click o Preview & Restore or simply click on Directly Restore to continue. Step 4: If you choose Preview & Restore, you will be able to preview the data and then let the program scan the data. After scanning you can click on Restore to proceed. Step 5: You can now choose Merge or Replace from the next window. 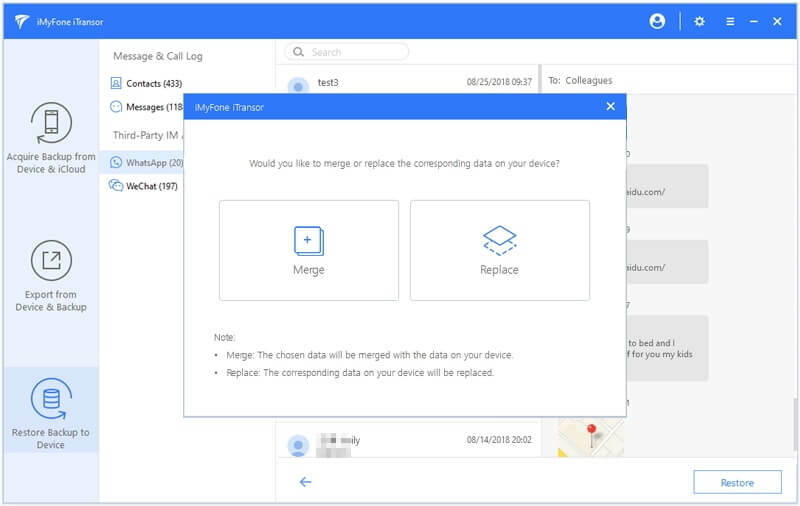 The Merge option combines the chosen data with what is in your device. The Replace option will replace the matching data on your device. The software program will then start to restore the data you selected without interfering with the already existing data on your iPhone. Download, install and launch iMyFone iTransor program on your computer. On the interface of the program, click on Acquire Backup from Device & iCloud, then click on Back Up Device tab. Connect iPhone to computer with USB cable. The program will then automatically recognize your device. 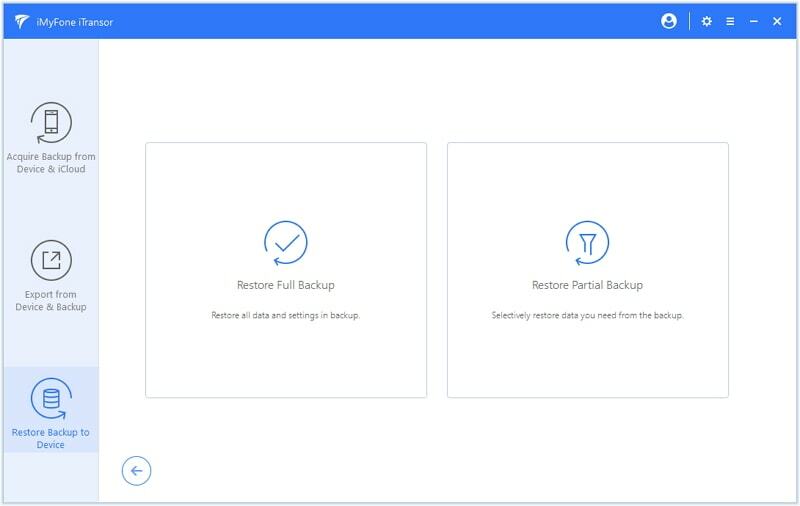 You will see two options on the right column; Make a Full Backup and Select One or More Data Type(s). Choose an appropriate option for your device. Click on Back Up to begin the process. You will be notified once the process is complete. 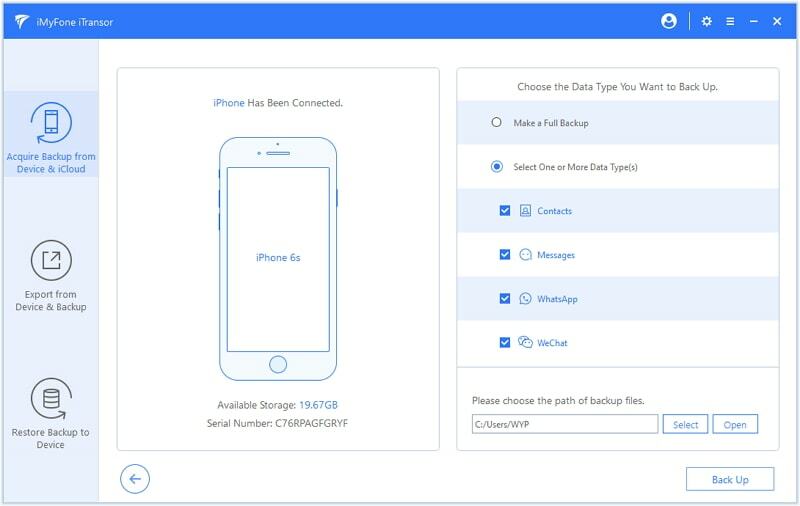 You can now view and export the data from the backup or restore to your device later. You can refer to the previous steps of "how to combine iPhone contacts from iTunes, iCloud and iMyFone backups". You do not have to log into your other iDevices to perform the same process. iCloud does that for you if the devices share the same iCloud ID. It is the official way. You must have an iCloud account and password. It can take longer to complete. 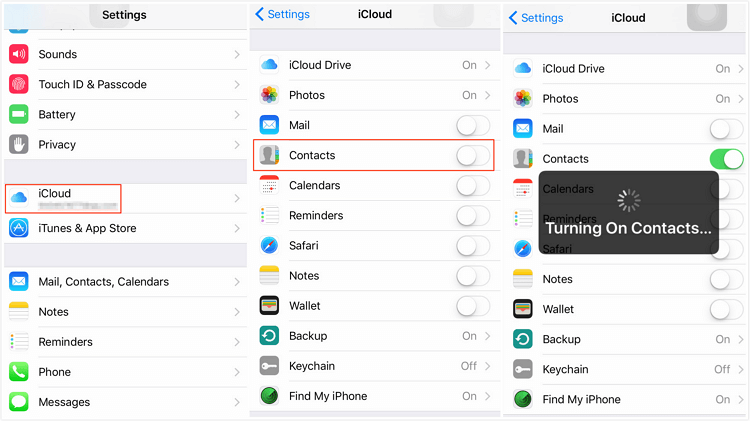 You can use this method to combine and back up your contacts via iTunes, iCloud, your computer or between iOS devices. You must download a third-party software program. If you want to combine iPhone contacts and get your contact list organized, you can try the above methods. imYFone iTransor is easy, fast and the most convenient of them all. Feel free to leave your comments below.